for assistance or come see the crew down at the Hyline Ferry Ticket Hut at Dockside. 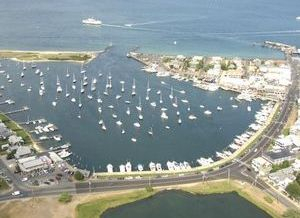 Oak Bluffs Harbor is reached via Vineyard Sound just southwest of East Chop and the Vineyard Highlands. From Vineyard Sound, a green and red can buoy first serves to keep mariners off of a rock pile southeast of the inlet. Oak Bluffs Harbor itself is announced by flashing red "2," which is prominently placed on the north breakwater to the harbor. Depths in the inlet are at least seven feet, and aside form some heavy recreational traffic at times, the passage is easy to follow and normally fairly calm. Use NOAA Chart 13233. If you are disembarking from the HyLine or Island Queen Ferry we are one of the first buildings you will see. The Oak Bluffs Harbor if shaped like an upside down "U" with curved part of the the U pointing towards town. If you are walking from Circuit Ave (aka Main Street) simply walk across the large intersection at the bottom of the hill toward the information booth - and head straight. There is street access on Circuit Ave Extension as well as water front access from the Harbor side. 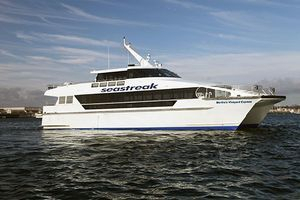 From Falmouth Harbor to Oak Bluffs, relax with the sea and sky on a delightful 35-minute cruise across the sparkling waters of Vineyard Sound. Calll (508) 548-4800. 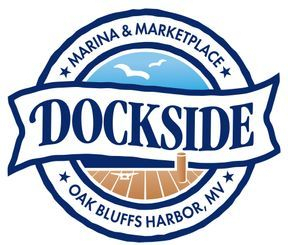 On your way to or from the boat, be sure to stop by Dockside for a bit or that last minute souvenier! 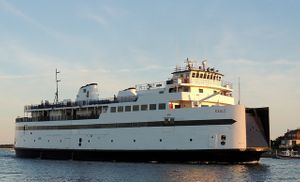 Service to the island for passengers and a limited number of autos is provided year-round by the Steamship Authority out of Wood's Hole, reservations at (508-477-8600). Passenger service requires no reservation, but advance automobile reservations are required. 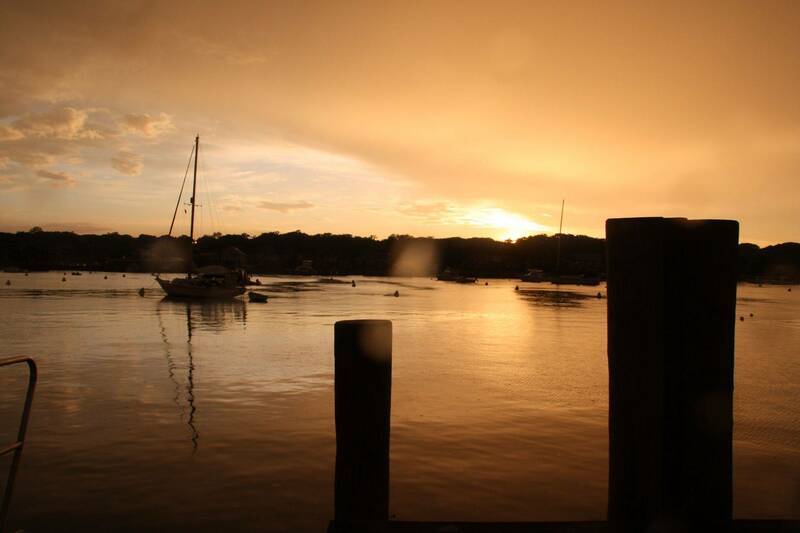 Be sure to book a ferry into Oak Bluffs so you can come see us at Dockside! SeaStreak - From New Bedford, Ma.